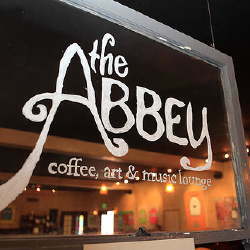 Preferred method of contact: email – booking@abbeylounge.org (please do not call). Be sure to include your band name and link to your music in the email. Genre: generally acoustic, singer-songwriter, bands tend to unplug (people bring brushes and not full drum kits) – nothing too loud. Think folk, jazz trios, etc. Sound – in-house sound system including PA, sound board, etc. This entry was posted on August 9, 2010 at 3:21 pm and is filed under How To. You can follow any responses to this entry through the RSS 2.0 feed. You can leave a response, or trackback from your own site.